From 28 to 30 March 2018, Special Representative of the UN Secretary-General, Head of the Regional Centre for Preventive Diplomacy for Central Asia (UNRCCA) Natalia Gherman, held bilateral consultations with the First Deputy Chairman of Senate of the Oliy Majlis (Parliament of the Republic of Uzbekistan) Senator Sodiq Safoev, the Foreign Minister Abdulaziz Kamilov, the Presidential Special Envoy on Afghanistan Ismatulla Irgashev, the Director of the Institute for Strategic and Interregional Studies under the President of Uzbekistan Vladimir Norov. The talks provided an opportunity to exchange views on issues of interaction within the framework of the UNRCCA mandate, current peace and security developments in Central Asia, perspectives of regional cooperation in light of high-level contacts among the Central Asian states, and with neighboring Afghanistan. The Uzbek officials expressed support to the UNRCCA initiatives, and noted importance of continuing joint activities aimed at seeking mutually acceptable solutions to management of trans-boundary water resources in the Aral Sea basin, facilitating the implementation of the UN Global Counter-Terrorism Strategy in Central Asia, promoting preventive diplomacy skills of the regional men and women parliamentarians. SRSG Gherman shared reflections on proceedings of her latest briefing at the UN Security Council and underscored its support to the UNRCCA activities pursued in partnership with countries in the region. Upon invitation of the Uzbek side, she attended a session of ‘International Press Club’ dedicated to Tashkent Conference on Afghanistan. 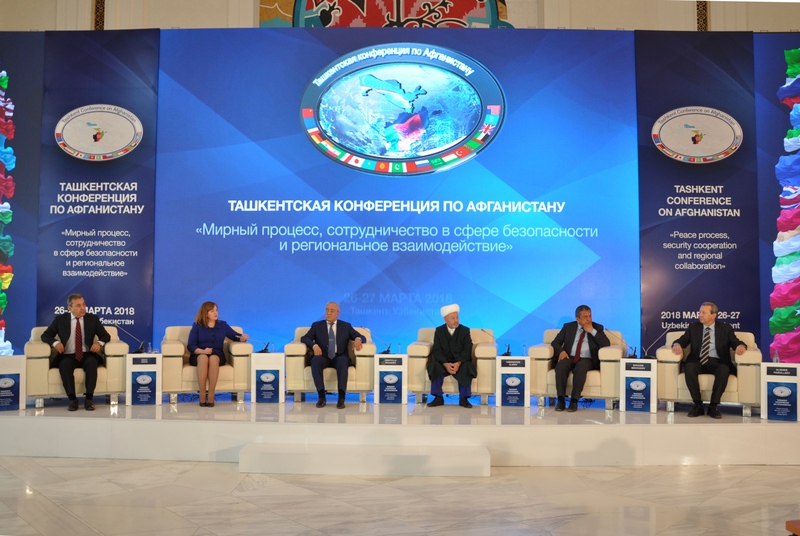 SRSG Gherman congratulated the Uzbek counterparts with successful organization of the International Conference on Afghanistan: “Peace Process, Security Coope-ration and Regional Connectivity” and unanimous endorsement of the Tashkent Declaration. In response to enhanced interest of the journalists, she elucidated on UNRCCA engagement to amplify and reinforce the benefits of positive regional dynamics underpinned by constructive dialogue and partnership among the Central Asian states. While in Tashkent, SRSG Gherman met with the UN Country Team, briefed on regional political developments, the UNRCCA priorities, and outlined areas for improved synergies. Recalling the UN Secretary-General’s reform agenda and focus on prevention, she emphasized the UN Country Team’s instrumental role in delivering as one UN to better serve the member states, advancing the process of SDGs nationalization and sustaining peace.